These products can be used with the Flagg-Air 340-J Bracket Set. Replacement bracket set exclusively for Flagg-Air 340-J Aerators. 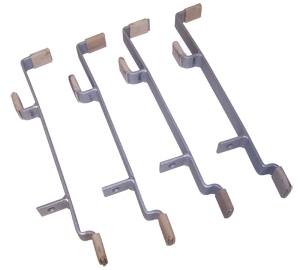 Bracket set includes 4 brackets with rubber vibration tips. Powder coated corrosion resistant. Washer and bolts not included. Bracket sets for Flagg-Air 340HP Aerators available here.